Organic semiconductors are lightweight, flexible and easy to manufacture. But they often fail to meet expectations regarding efficiency and stability. 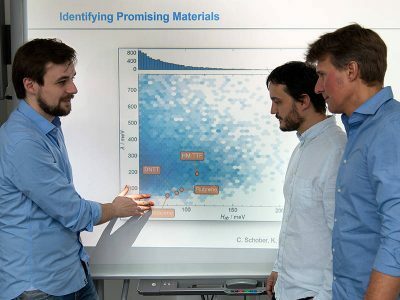 Researchers at the Technical University of Munich (TUM) are now deploying data mining approaches to identify promising organic compounds for the electronics of the future. Producing traditional solar cells made of silicon is very energy intensive. On top of that, they are rigid and brittle. Organic semiconductor materials, on the other hand, are flexible and lightweight. They would be a promising alternative, if only their efficiency and stability were on par with traditional cells. Together with his team, Karsten Reuter, Professor of Theoretical Chemistry at the Technical University of Munich, is looking for novel substances for photovoltaics applications, as well as for displays and light-emitting diodes – OLEDs. The researchers have set their sights on organic compounds that build on frameworks of carbon atoms. Depending on their structure and composition, these molecules, and the materials formed from them, display a wide variety of physical properties, providing a host of promising candidates for the electronics of the future. The researcher needs neither test tubes nor Bunsen burners to search for promising organic semiconductors. Using a powerful computer, he and his team analyze existing databases. This virtual search for relationships and patterns is known as data mining. Using his algorithms, he can search for very specific physical parameters: An important one is, for example, the “coupling parameter.” The larger it is, the faster electrons move from one molecule to the next. A further parameter is the “reorganization energy”: It defines how costly it is for a molecule to adapt its structure to the new charge following a charge transfer – the less energy required, the better the conductivity. The research team analyzed the structural data of 64,000 organic compounds using the algorithms and grouped them into clusters. The result: Both the carbon-based molecular frameworks and the “functional groups”, i.e. the compounds attached laterally to the central framework, decisively influence the conductivity. The clusters highlight structural frameworks and functional groups that facilitate favorable charge transport, making them particularly suitable for the development of electronic components. 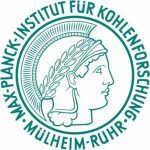 The project was funded by the “Solar Technologies go Hybrid” research initiative of the Bavarian State Government and is part of the new Cluster of Excellence e-conversion of the Munich universities funded by the German Research Foundation. The structural data for the analysis were taken from the Cambridge Structural Database. The conductivity data was generated in sophisticated electronic structure calculations on Super-MUC, the supercomputer of the Leibniz Supercomputing Center in Garching. The new computer-designed molecules will be produced in a laboratory within the Cluster of Excellence e-conversion.